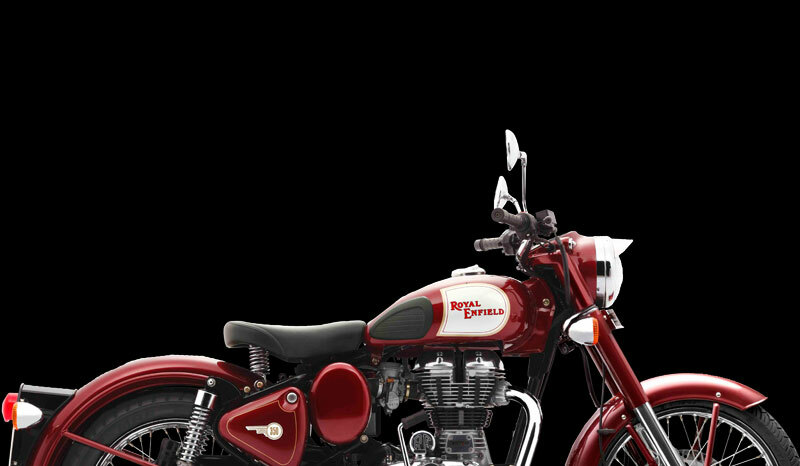 Royal Enfield Classic 350 and Classic 500 are the most successful bikes by RE. Classic series of bikes are targeted for the young generation guys unlike earlier RE bikes. Classic 350 is one of the top selling models of RE with 3 colours options, silver, maroon and black. A post by vinjosep says that RE has discontinued maroon colour option in Classic 350 offerings. So only black and silver colours are available in Classic 350 and RE might introduce Classic chrome and Desert Storm options in CL350 which was earlier available in 500 cc engine option. 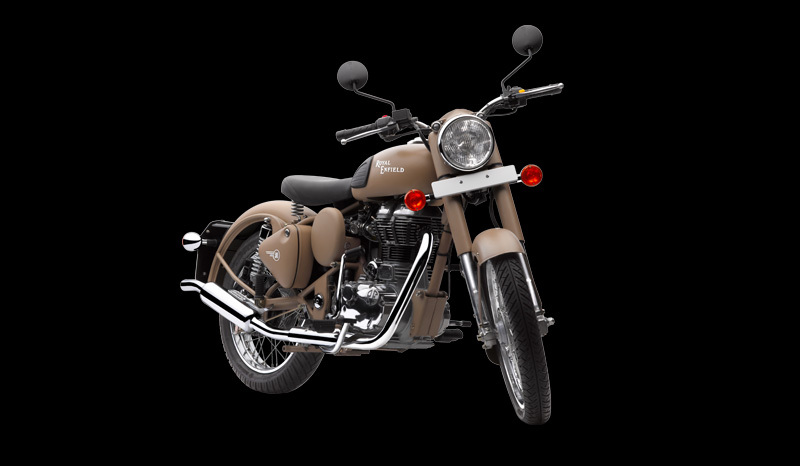 The company website shows all 3 colours available in Royal Enfield Classic 350. If Bangalore dealer is to be believed, this is both a sad and good news for prospect RE CL350 buyers. Royal maroon colour is one of the favorite colours and many RE customers used to wait for 6 months for that colour. On the positive note, Classic Chrome and Desert Storm may be available in 350 engine option now. The 350 cc single cylinder mill is carburated one and produced peak power of 19.8 bhp and peak torque of 28Nm. The engine is mated to 5 speed gearbox that makes seamless power and torque available across all gear range. 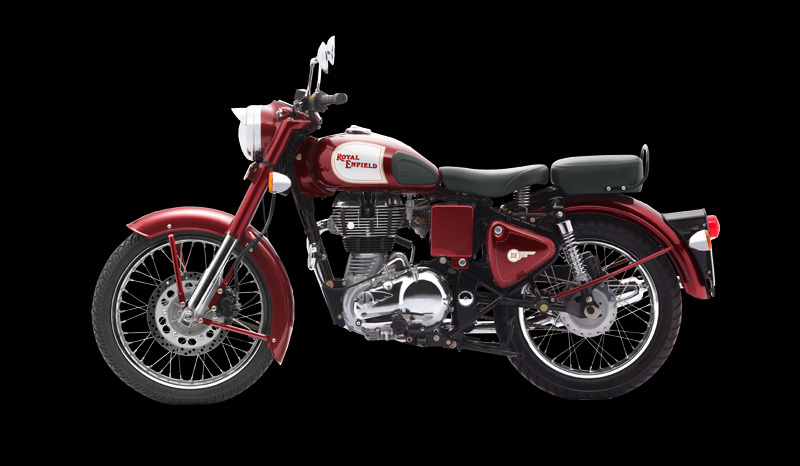 The Classic 350 shares its powerplant with the Thunderbird Twinspark. The torque to flatten mountains and the fuel efficiency to cross entire ranges come in the same understated yet charming styling. Introduction of two new colours in 350cc engine which were only available for 500 cc option will surely increase RE CL350’s demand even more. 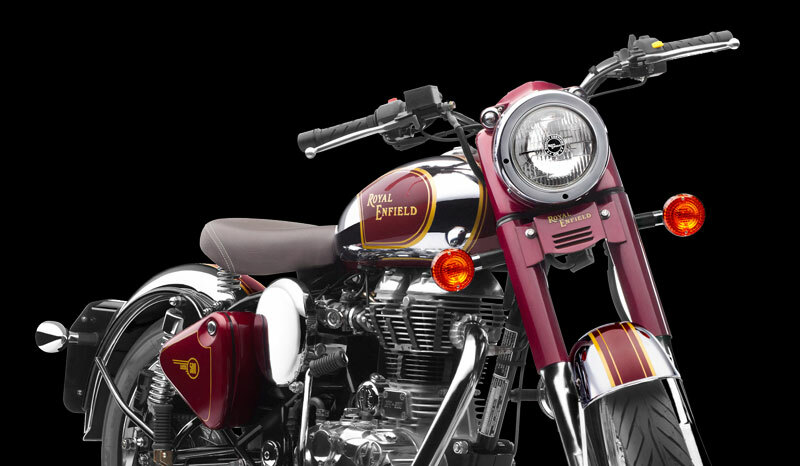 Royal Enfield offers total 14 models across its motorcycle range that includes categories of Cafe race, Thunderbird, Classic and Bullet range. 500 cc EFI, 500 cc carburated, 350cc Twinspark and 535 cc EFI engine option are plonked in this 14 various bikes of Royal Enfield. Royal Enfield has its fan-base across the globe and the company organizes regular rides in India as well as rides exploring other countries like Tour of Bhutan and Tour of Tibet as branding and promotion activities.